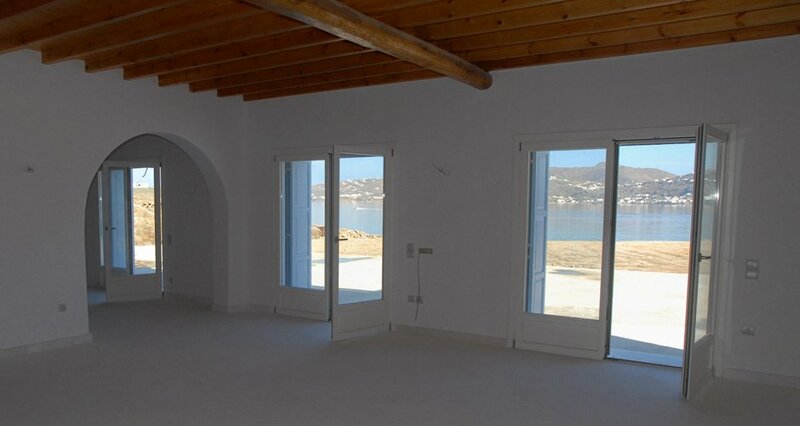 The property consists of two independent villas 350m² & 420m² respectively, on a prime Myconian location. 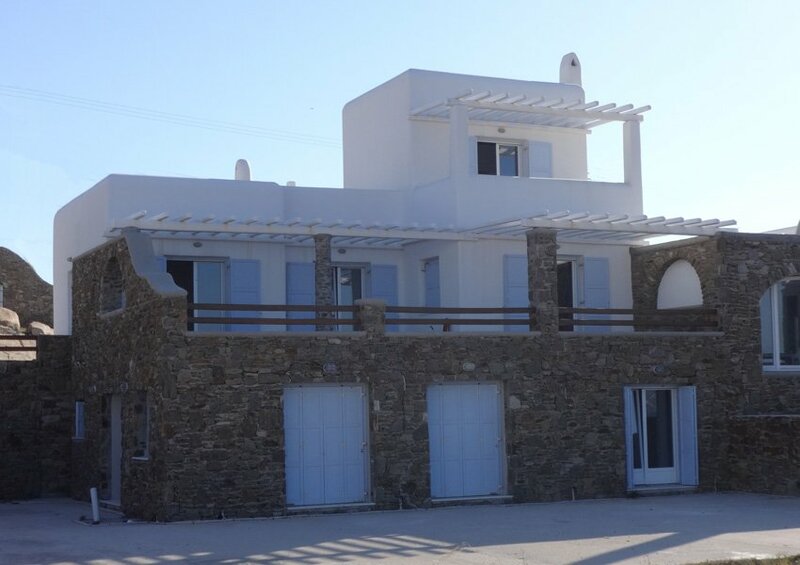 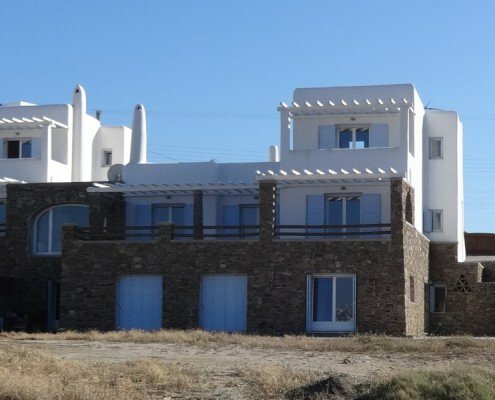 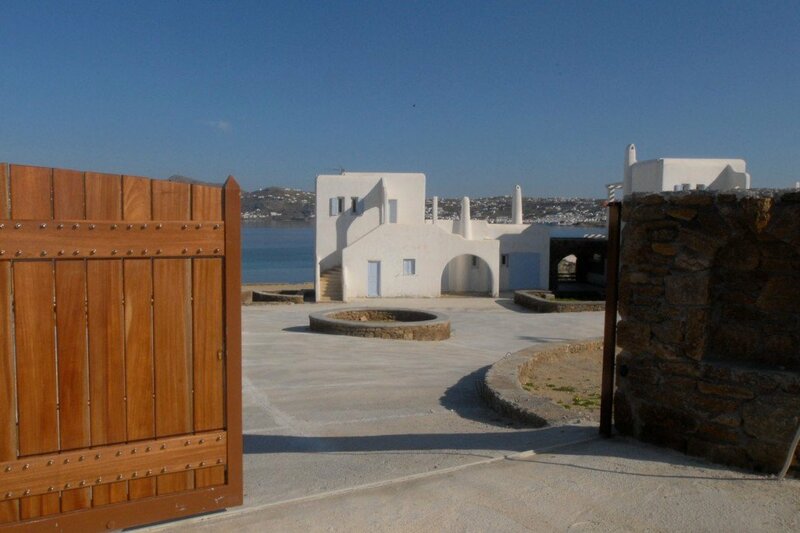 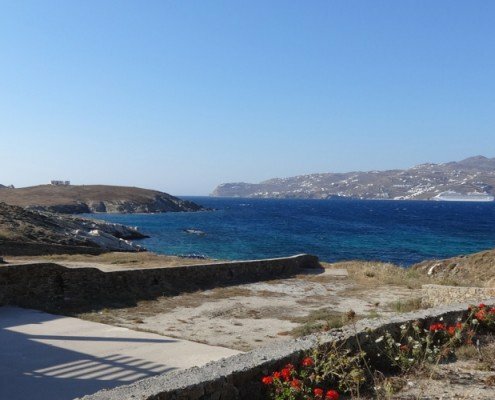 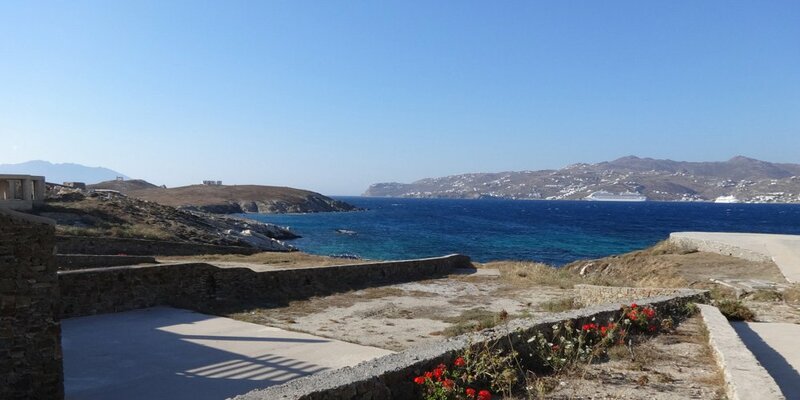 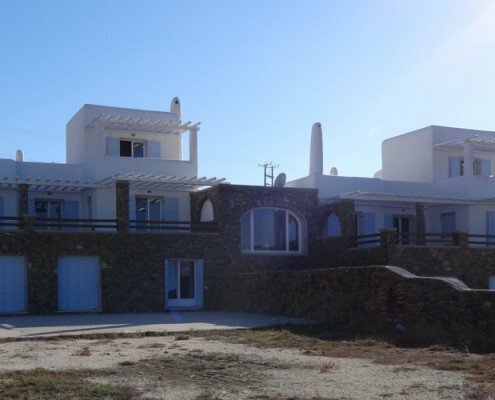 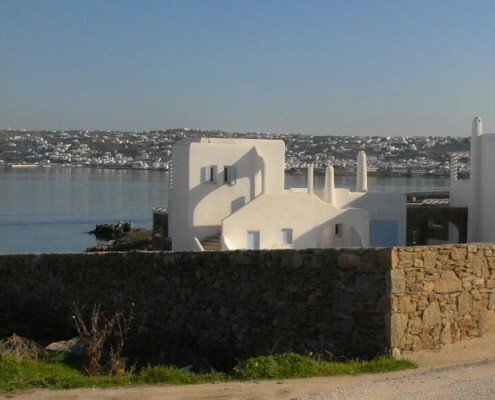 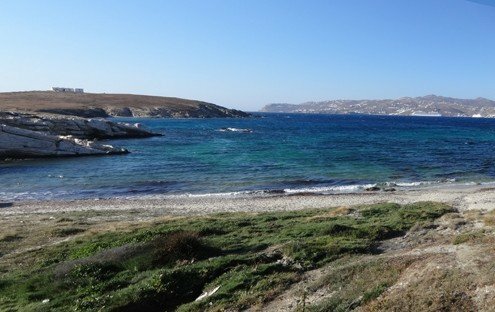 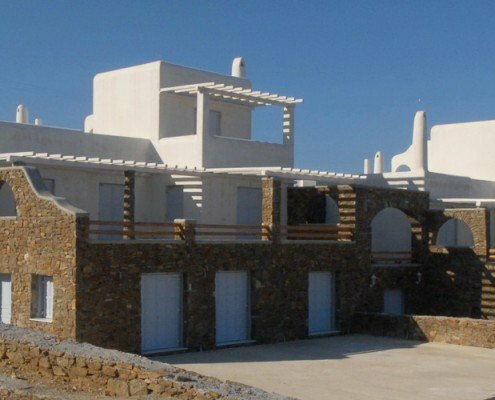 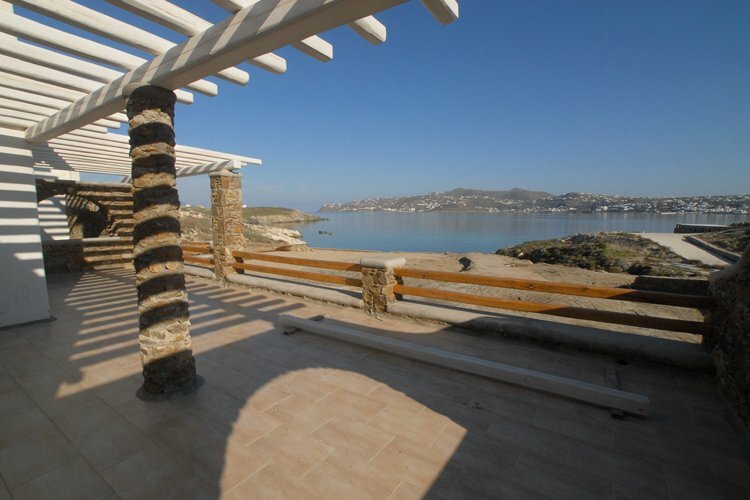 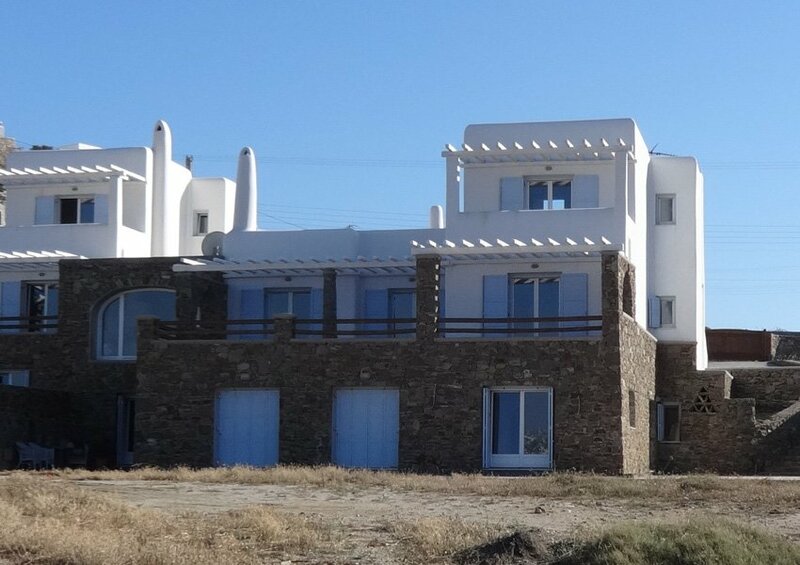 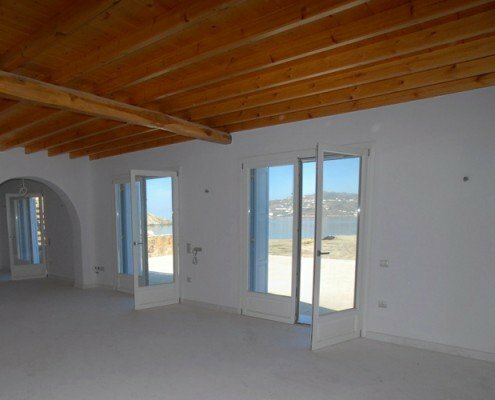 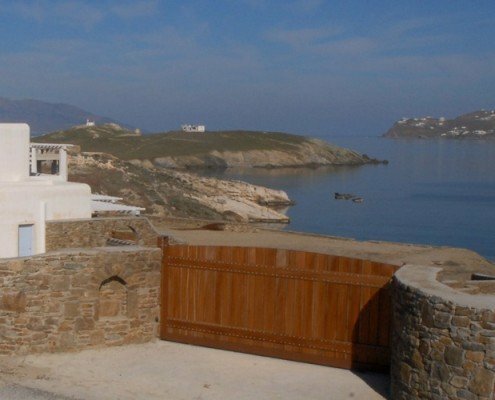 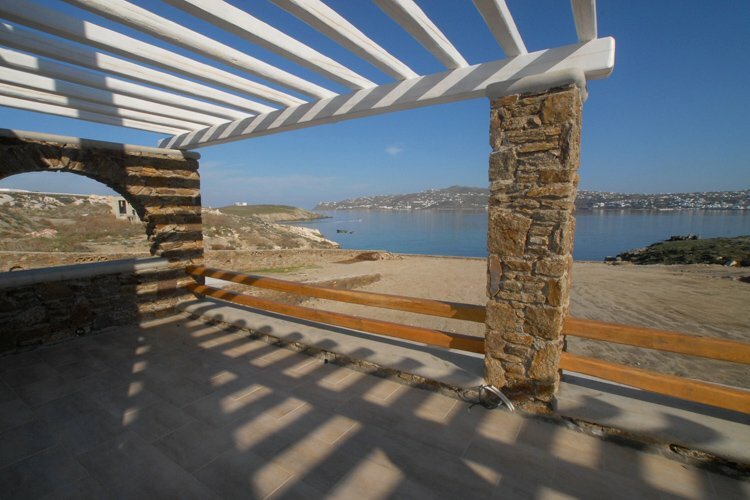 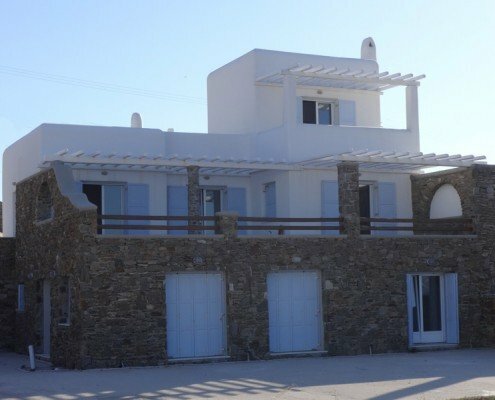 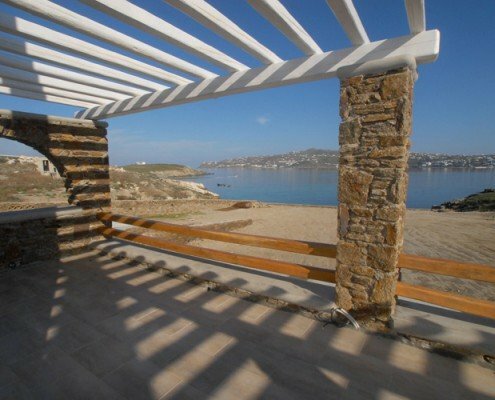 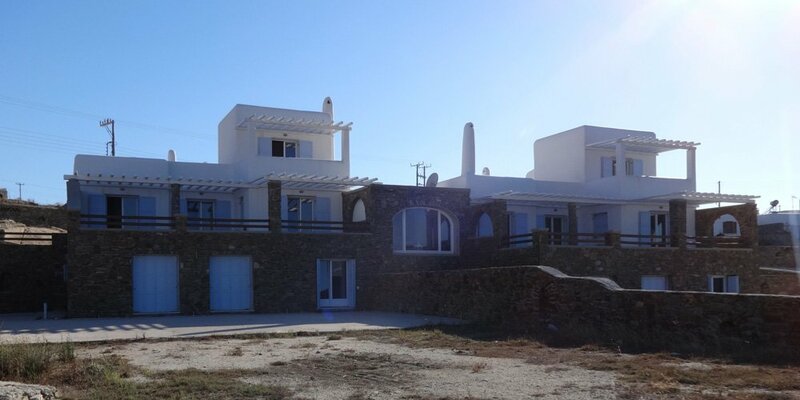 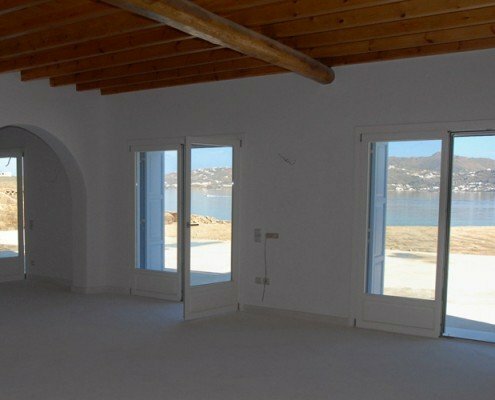 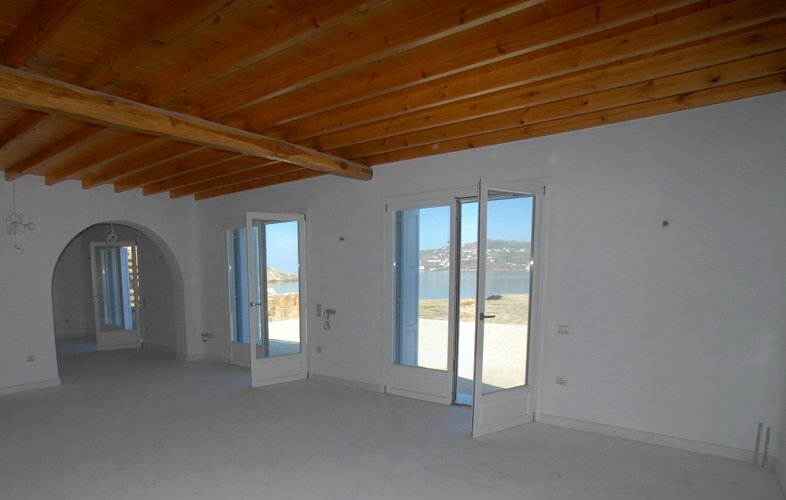 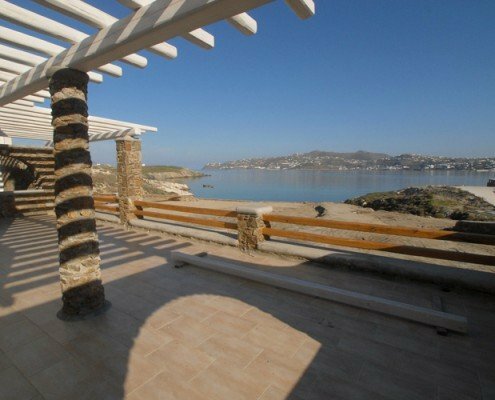 The plot is 5500 m² just on the beach with magnificent views of the surrounding area and Mykonos Chora. 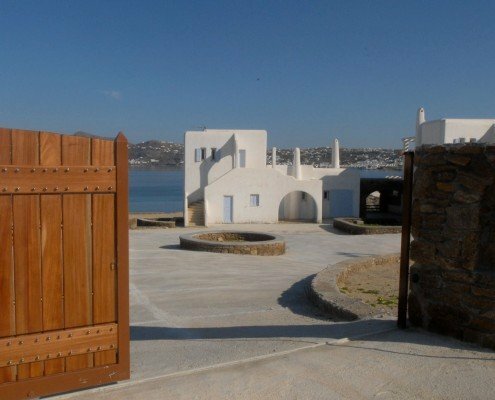 These newly build properties are designed in a traditional Cycladic architecture and are ready for the new owners to move in.